It was finally an incredibly nice day here in Eugene. Lots of sunshine and temperatures in the 70’s. The next few days look to be equally nice. 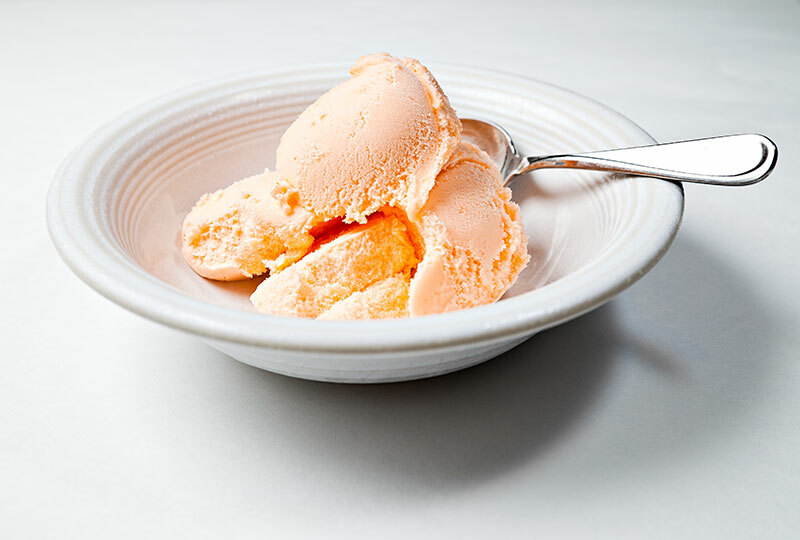 It’s the kind of weather where orange sherbet really hits the spot. Actually I wanted to get the rainbow sherbet but I ended up mistakenly grabbing the orange. Oh well, they are both tasty on a hot day. For this photo I chilled the bowl in the freezer so when I started taking photos the sherbet wouldn’t melt as fast. I laid the white paper on a table and positioned a flash camera left in a shoot through umbrella and one camera right in a softbox. Then I put a few scoops of sherbet in the chilled bowl and started shooting. Camera settings are below.